(PLEASE VISIT OUR AMAZON STORE FOR MORE PRODUCTS) XFITTING will give our customers 30 days to try out ours confident products, if some how you don't like it you can mail it back to us we will refund your money back with no question to ask, NO RESTOCKING FEES and even pay for your return shipping fees. XFITTING PEX Compatible with all types and brands of PEX Tubing - Watts, Everhot, Viega, Zurn, Nibco, Bow, etc. 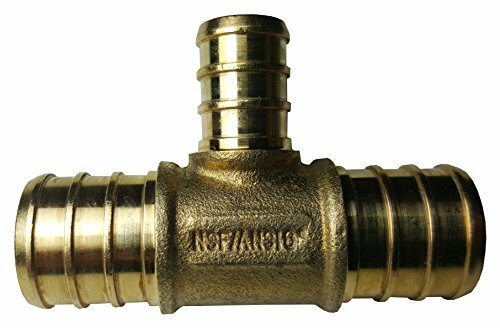 Design certified to ANSI-61/NSF and ASSE 1061 product standard for use in potable water and hydronic heating water distribution. If you have any questions about this product by PEX 1/2" X 3/4" XFITTING, contact us by completing and submitting the form below. If you are looking for a specif part number, please include it with your message.